Lincoln Park is one of Chicago’s best known neighborhoods. Bounded by North Avenue on the south, the Lakeview neighborhood and Diversey Parkway on the north, Ashland Avenue on the west and Lake Michigan to the east. Lincoln Park is also known as Community Area 7. 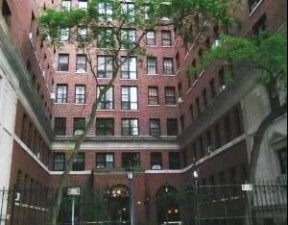 Lincoln Park homes are primarily brownstones and greystones, many of which have been divided into condominiums in recent years. Homes that had been converted to multiple unit housing for students are often being converted back into single family homes. 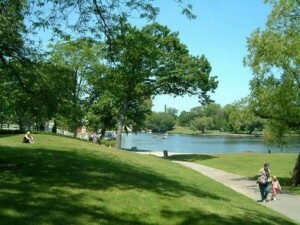 Lincoln Park has a suburban feel with many families, trees and green spaces. Real estate prices range from surprisingly affordable to multi million dollar homes, depending on type of housing and exact location in the neighborhood. CTA buses run on Fullerton Avenue, Halsted Street, Ashland Avenue, Diversey Parkway, Clark Street and Lincoln Avenue. CTA Red, Brown and Purple “L” trains stop at North, Sedgewick, Armitage, Fullerton and Diversey. For a fun and free way to travel, the Lincoln Park Trolley provides environmentally friendly transport to most of the area’s attractions. The neighborhood is served by the Chicago Public Schools which operates Lincoln Park High School, one of the highest ranked public high schools in Chicago, along with two public elementary schools and numerous private academies. Lincoln Park has a thriving nightlife culture, home to both the world famous Second City Theatre and Steppenwolf Theater. There are also fine dining and casual dining restaurants, numerous bars, clubs, coffee shops, boutiques, bookstores and more. For history lovers, the Chicago Historical Society is a must visit. The museum offers a wide variety of exhibitions and programs devoted to Chicago and American history. The neighborhood also boasts the Peggy Notebaert Nature Museum, where visitors can discover nature coming to life and special exhibitions and programs rotate through the seasons. The gorgeous Lincoln Park Conservatory is one of the finest in horticulture and provides a lush environment for exotic palms, orchids and ferns in over three acres of indoor and outdoor gardens. Lincoln Park Zoo, one of the nation’s oldest and last free zoos, is home to more than 1,300 animals, many of which are endangered or threatened. Daily programs and animal encounters provide the chance to learn about wildlife 365 days a year. Lincoln Park, the community namesake, is the largest public park in Chicago. The park encompasses beaches and boating on the lake, a bird sanctuary, botanical gardens, playgrounds, tennis courts, golf courses, football and soccer fields, baseball diamonds and large open areas for picnicking and fun. Located only three miles from Chicago’s Magnificent Mile, this neighborhood is a city within the city. Shops, upscale shopping centers, entertainment and restaurants of every form imaginable make Lincoln Park attractive to young, hip singles and families alike. However, when the first European settlers came in 1820’s, the area was primarily forest with areas of quicksand and grasslands. In the 1830’s, Lincoln Park was home to an Army post, smallpox hospital and city cemetery.